Are you looking for a neutral tone leather wallet fit for a Queen? 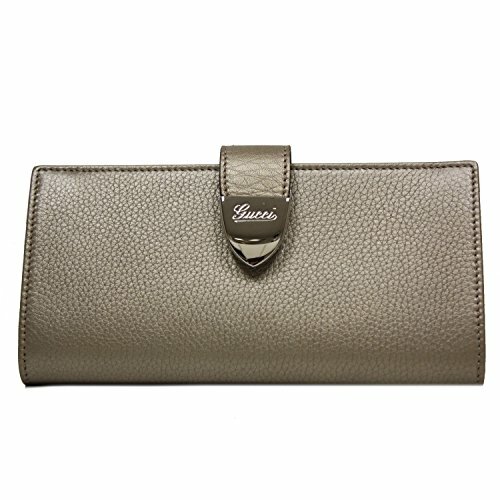 The Gucci signoria buckle continental wallet in a textured beige/gold metallic shine leather has seven (7) credit card slots, two (2) bill slots, and a snap closure compartment for loose change. New with tags. Includes authenticity cards, controllato cards, and Gucci box. Made in Italy.